You know what I hate? Detangling the cables, chargers, headphones, and other electronic accoutrements that always weave themselves into a ball while stored in my backpack. 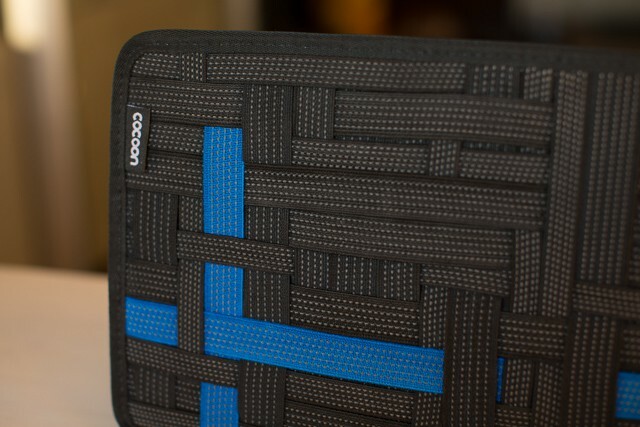 Cocoon, makers of the Grid-It “ultimate organizer,” want to solve that problem. 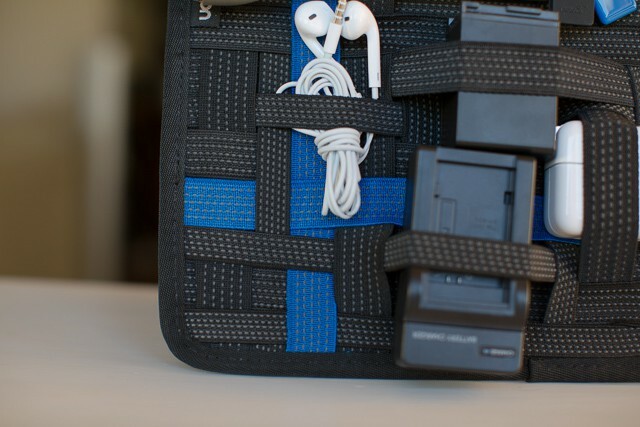 The Grid-It ($20), stows your accessories against a flat surface, all held tidily in place with a series of interwoven elastic bands. That sounds a heckuvalot better than what I’m doing. So with Earpods, chargers, and lightning cables in hand, I put one to the test to see how well it works. Snake pits! That’s what I call piles of ethernet cables, bags of charging wires, or mounds of tangled-up headphones. For good reason, Indiana Jones hated them, and I do too. 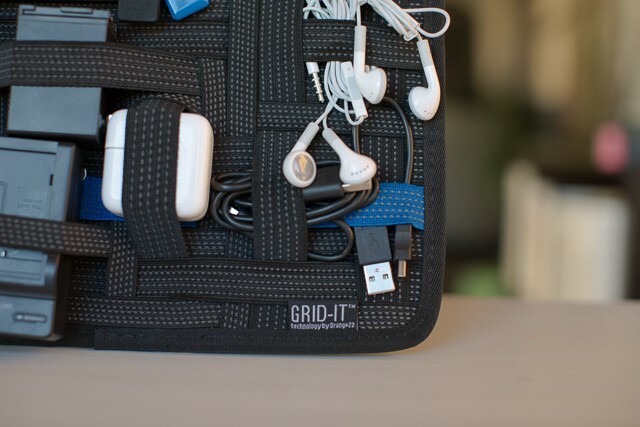 The Grid-It, with its multiple overlapping stretchy bands, totally solves this problem. 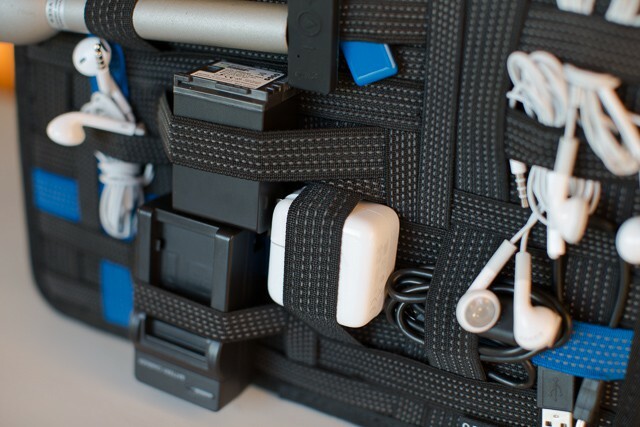 Now, my cables are neatly stored, headphones snugly stowed, and suddenly, even bigger items like charging bricks or small cameras have a secure spot in my bag to call home. The Grid-It is genius at neatly storing a variety of items, but more than that, it makes them easy to see and easy to access. What’s the magic sauce here? 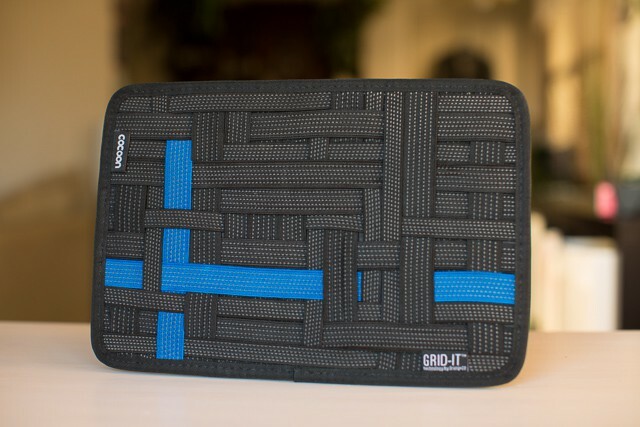 Grid-It’s multiple belts of stretchy, sticky, interlaced bands. Items are easy to place under their elastic grasp, but once placed, are secured there via the magic of tension, but also by the rubbery threads Cocoon has woven into the Grid-It’s plethora of straps. Tension combined with a good gummy grip is a powerful combo, and I found the Grip-It held my various items in place very well. Carefully organized, Grip-It can be also be filled with a huge amount of items, probably more than any normal person would generally carry around. In fact, you could probably fit an entire mirrorless camera body, 2-3 lenses, and several sets of headphones within its clutches if you wanted to. And with a wide variety of different strap lengths, Grip-It works as well for anything from pens and pencils to chargers, microphones, even cameras. As with all things that stretch, I’m a little concerned that the elastic bands of the Grip-It will eventually lose their tenacity and instead hang long and loose like a wizard’s sleeves. That’s probably especially true for the smaller bands which are easier to stretch too taut. My other concern is weight. Carry a pair of Earpods in your pocket, you’d barely notice, but a Grid-It, at about 12 inches long and 11 ounces, is a much heavier affair. 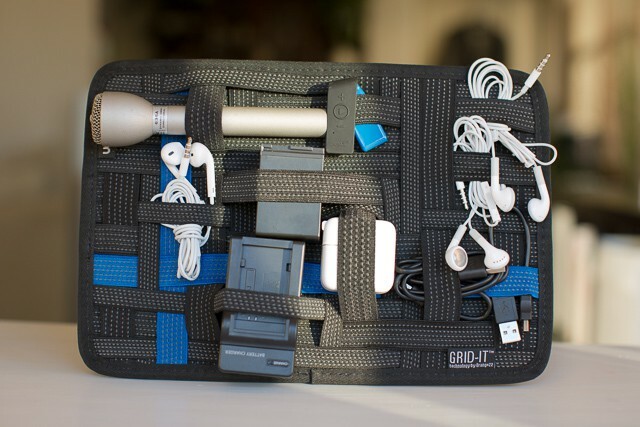 Due to its weight and size, it’s probably not worth carrying around unless you have enough wires and gizmos to fill it. I think Cocoon’s Grid-It is just dandy. It works so well, I may never had to dig through a snake pit again. 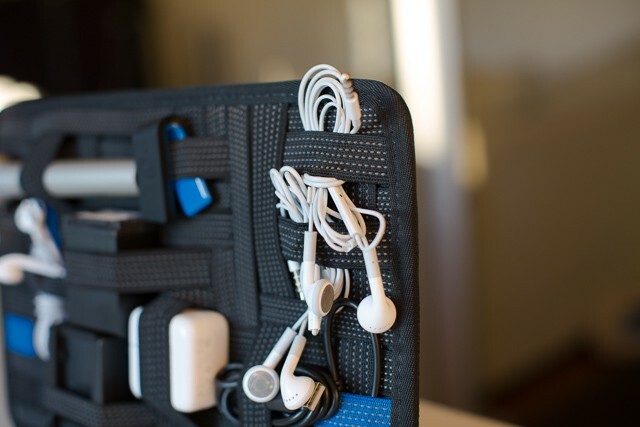 I only wish they’d release this technology integrated into a backpack that also holds a Macbook Pro! Oh wait, they’re going to.